HANOI, Vietnam (AP) — For his second summit with President Donald Trump, North Korean leader Kim Jong Un opted to go retro — riding the rails like his grandfather decades before. PYONGYANG, North Korea (AP) — North Korea is stepping up a new loyalty campaign as leader Kim Jong Un prepares for his second summit with President Donald Trump. The campaign began last month with the introduction of a song in praise of the nation's flag. From the dragon dancers parading through Yangon to the fire-eaters entertaining crowds in Manila, millions of people across Asia are ringing in the Lunar New Year. The Lunar New Year is celebrated across the continent, from Vietnam, where it is known as Tet, to South Korea, where it is called Seollal. Celebrants take part in religious rituals, community events and family reunions. PYONGYANG, North Korea (AP) — North Koreans are marking the seventh anniversary of the death of leader Kim Jong Il with visits to statues and vows of loyalty to his son and successor, Kim Jong Un. As snow fell Sunday, tens of thousands of people offered flowers and paid respects to the late leader at Mansu Hill in central Pyongyang, the location of huge bronze statues of the "Dear Leader" and national founder Kim Il Sung. PYONGYANG, North Korea (AP) — North Koreans are marking the seventh anniversary of the death of leader Kim Jong Il with visits to statues and vows of loyalty to his son, Kim Jong Un. As snow fell Sunday, a steady flow of North Koreans offering flowers and paying respects to the late leader could be seen at Mansu Hill in central Pyongyang, the location of huge bronze statues of the "Dear Leader" and national founder Kim Il Sung. SEOUL, South Korea (AP) — A sacred volcano at the heart of North Korea's founding mythology. The ruling party's headquarters, said to be a potential target of South Korean and U.S. military attacks. An art studio that produces giant propaganda statues. And a 150,000-seat stadium in Pyongyang where the country's unique mass games are performed. The places South Korean President Moon Jae-in visited during his three-day trip to North Korea are glimpses into the country and how it sees itself. PYONGYANG, North Korea (AP) — There is no more sacred place in North Korea than Mount Paektu — and getting South Korean President Moon Jae-in to such a spot is a propaganda coup unlike any other. The still active volcano, site of one the most violent eruptions in history, is considered not only to be the birthplace of the mythical Dangun, the first ruler of Korea, but also the spiritual epicenter of the North Korean revolution. North Korean youths holding torches march during a rally at the Kim Il Sung Square in Pyongyang on the 70th anniversary of the nation's founding. In other images from the Asia-Pacific region this week, Naomi Osaka, the champion of U.S. Open women's singles, attends a news conference in Yokohama after becoming the first Japanese to win the tournament. In India, the devout celebrate a 10-day festival marking the birth of the Hindu god Ganesha. 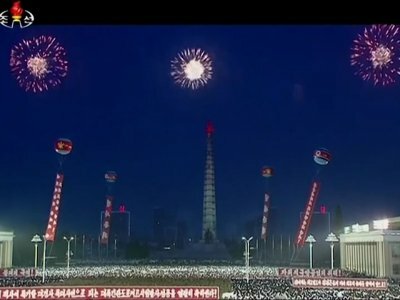 PYONGYANG, North Korea (AP) — Tens of thousands of North Korean students rallied in Pyongyang's Kim Il Sung Square in the final major event of the country's 70th anniversary, an elaborate celebration that has showcased the nation's aspirations for economic growth and Korean unity. SEOUL, South Korea (AP) — South Korean President Moon Jae-in asked his Indonesian counterpart on Monday to support efforts to achieve denuclearization of the Korean Peninsula. Indonesia has historical ties with North Korea. Indonesia's first president, Sukarno, was a friend of North Korean founder Kim Il Sung, the grandfather of current ruler Kim Jong Un. The two, who shared a distrust of Western powers, established diplomatic ties in the 1950s. PYONGYANG, North Korea (AP) — North Korea staged a huge military parade on Sunday to mark the 70th anniversary of the nation’s founding as a nation, with tens of thousands of people waving brightly colored plastic bouquets as the parade began. PYONGYANG, North Korea (AP) — Workers with paint brushes and brooms put the final touches on Pyongyang's iconic Kim Il Sung Square as North Korea prepared for what promises to be its biggest celebration in years on Sunday — the 70th anniversary of the country's official birth as a nation. The spectacle, months in the making, will center on a military parade and mass games that will likely put both advanced missiles and leader Kim Jong Un's hopes for a stronger economy front and center. SEOUL, South Korea (AP) — During the 70 years that the Kim family has ruled, North Korea's 30-plus massive military parades have been used as much for propaganda, intimidation and internal unity as for commemorating important anniversaries. PYONGYANG, North Korea (AP) — French actor Gerard Depardieu has arrived in the North Korean capital ahead of celebrations to mark the 70th anniversary of the founding of the socialist state. Depardieu was filmed by reporters in the lobby of a Pyongyang hotel on Friday. He refused to talk to journalists. North Korea is gearing up to celebrate its 70th founding anniversary on Sunday. 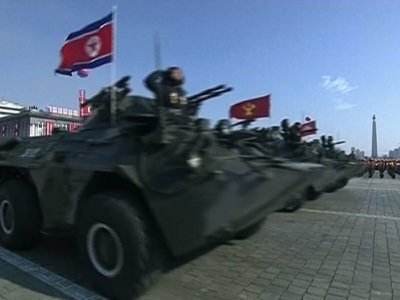 The main event as in previous years will be a military parade in Pyongyang's Kim Il Sung Square. SEOUL, South Korea (AP) — Even two decades after he fled North Korea, even with an abiding hatred of the ruling dictatorship, Sim Ju-il sometimes still relives the days when he goose-stepped past the nation's revered founder, Kim Il Sung, as a young man. Alone on a Seoul street, he'll pretend his umbrella is a rifle and present arms as he lifts his now aged legs in a rigid, still springy march and remembers the long-ago, exalted feeling. TOKYO (AP) — As nuclear talks with United States stall, North Korea is preparing to hold a big military parade on the 70th anniversary of the country's founding. Satellite photos indicate troops have been practicing for weeks at a mockup of Pyongyang's Kim Il Sung Square. But two big questions remain: Who will attend? And will leader Kim Jong Un use the occasion to thumb his nose at Washington by displaying missiles North Korea claims are capable of striking the American heartland? SEOUL, South Korea (AP) — North Korean leader Kim Jong Un has blasted local officials over a delayed construction project, state media reported Tuesday, his second such rebuke over the economy in recent weeks. It's unusual for state media to carry dispatches showing Kim's criticism of officials. Some experts say Kim, eager to claim economic gains, may intend to blame underlings for problems before possibly launching new economic policies. PYONGYANG, North Korea (AP) — In another sign of detente following the summit between leader Kim Jong Un and U.S. President Donald Trump, North Korea has decided to skip one of the most symbolic and politically charged events of its calendar: the annual "anti-U.S. imperialism" rally marking the start of the Korean War. SINGAPORE (AP) — Stamped with images of "Eternal President" Kim Il Sung, national monuments or even ballistic missiles, coins minted in North Korea are renowned among collectors for their scarcity, partly due to international sanctions that outlaw them from being auctioned. Now collectors in Singapore who have spent tens of thousands of dollars acquiring the coins are happy that Tuesday's summit is driving up prices and ushering first-time buyers into the market. PYONGYANG, North Korea (AP) — Beachfront, five-star hotels? Skyscrapers just blocks from Kim Il Sung Square? North Korea is racing forward with major development projects some experts believe are aimed at expanding a market for rented or privately owned real estate to help fortify the finances of Kim Jong Un's regime against the bite of sanctions over its nuclear program. A swelling market for private property doesn't sound very socialist, and it's not. PYONGYANG, North Korea (AP) — Hundreds of foreigners joined in the annual Pyongyang marathon on Sunday despite political tensions that have only recently begun to ease and a ban on U.S citizens traveling to the country that is still in effect. Approximately 400 foreign amateurs took part this year, less than half the number that came last year. They came from approximately 43 countries and territories around the world. SEOUL, South Korea (AP) — A South Korean court on Friday sentenced former President Park Geun-hye to 24 years in prison on charges of bribery, extortion, abuse of power and other crimes over an explosive corruption scandal that removed her from office one year ago. 1963: Park moves to Seoul's presidential Blue House, two years after her father Park Chung-hee took power in a coup. SEOUL, South Korea (AP) — North Korean leader Kim Jong Un's surprise visit to China makes clear that Beijing, the North's only major ally and chief provider of energy and trade that keeps the country's broken economy afloat, will have a major role in any effort to rein in the North's nuclear program. 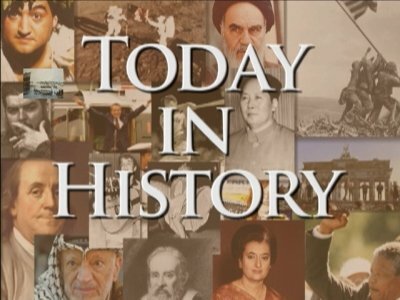 October 1949: North Korea and China establish diplomatic relations. SEOUL, South Korea (AP) — North Korea, Yemen and the Philippines earned the final three qualification places for next year's Asian Cup. Yemen, which played its home games in Qatar because of the ongoing conflict in the country, qualified for the tournament for the first time before even playing Tuesday because the Philippines beat Tajikistan 2-1 in Manila in the same group. North Korea advanced to the final tournament by beating Hong Kong 2-0 at Kim Il Sung Stadium in Pyongyang. TOKYO (AP) — President Donald Trump could become the first sitting U.S. president to visit North Korea if plans for a summit with Kim Jong Un hold. But other prominent American political figures have visited Pyongyang, North Korea's capital, in the past, many with a similar goal of trying to stop its nuclear program. North Korean leader Kim Jong Un presided over an extravagant military parade in Pyongyang's Kim Il Sung Square on Thursday, grabbing the spotlight on the eve of the Pyeongchang Winter Olympics in South Korea to thumb his nose at Washington while making a point of showing off his new-found restraint toward Seoul. The parade itself had been anticipated for weeks. North Korea announced last month that it would hold a big event to mark the 70th anniversary of the founding of its military. PYEONGCHANG, South Korea (AP) — North Korean leader Kim Jong Un presided over an extravagant military parade in Pyongyang's Kim Il Sung Square on Thursday, grabbing the spotlight on the eve of the Pyeongchang Winter Olympics in South Korea to thumb his nose at Washington while making a point of showing off his new-found restraint toward Seoul. PYONGYANG, North Korea (AP) — North Korea is preparing to stage a major event to mark the 70th anniversary of the founding of its military on Feb. 8 — just one day before the opening ceremony of the Pyeongchang Winter Olympics in South Korea. Officials refuse to confirm what exactly is planned for the event. PYONGYANG, North Korea (AP) — Crowds of flower-bearing North Koreans on Sunday streamed passed statues and portraits of their leaders to pay respects on the sixth anniversary of the death of Kim Jong Un's father, Kim Jong Il. A man held a smartphone as he stood near a Christmas display in a shopping district in Beijing. Although Christmas is not traditionally celebrated in China, shopping malls and retailers welcome the holiday by organizing activities to attract shoppers as a chance to boost year-end sales. SEOUL, South Korea (AP) — It's 3:11 p.m. on a cold, gray day on the North Korean side of the most heavily armed border in the world, and a lone soldier is racing toward freedom. TOKYO (AP) — Kim Jong Un has promoted his younger sister to a new post within North Korea's ruling party. The promotion of Kim Yo Jong came at a meeting of senior party members as North Korea marked the 20th anniversary of Kim Jong Il's acceptance of the title of general secretary of the ruling Worker's Party of Korea. PYONGYANG, North Korea (AP) — North Korea has held a large anti-U.S. rally in its capital city, backing its leader Kim Jong Un as he exchanges insult-laden threats with President Donald Trump. A huge crowd gathered Saturday in Pyongyang's Kim Il Sung Square, named for the current leader's grandfather and founder of North Korea. They listened to speeches from senior officials excoriating the United States and its president. SEOUL, South Korea - The last time South Korea is known to have plotted to assassinate the North Korean leadership, nothing went as planned. In the late 1960s, after North Korean commandos tried to ransack the presidential palace in Seoul, South Korea secretly trained misfits plucked from prison or off the streets to sneak into North Korea and slit the throat of its leader, Kim Il Sung. When the mission was aborted, the men mutinied. 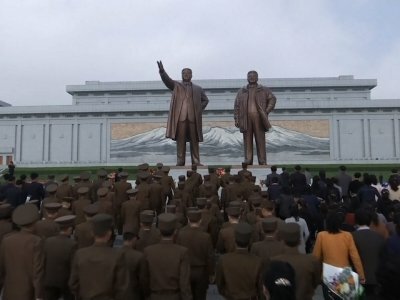 PYONGYANG, North Korea (AP) — North Koreans on Saturday celebrated another public holiday with familiar routines, laying flowers and bowing in front of statues and portraits of past leaders while the outside world kept a close watch amid speculations that another missile test is near. South Korea's government earlier said North Korea could potentially mark the 69th founding anniversary with its third test of a developmental intercontinental ballistic missile. Isn’t it rather counterproductive to respond to North Korea’s threats by heightening the rhetoric (“Trump vows ‘fire and fury’ as war of words escalates,” Aug. 9)? U.S. Sen. John McCain, who is a war veteran with exceptional service, cautions just that. “It’s kind of the classic Trump in that he overstates things,” the senator said. McCain added he would prefer that Trump take former President Theodore Roosevelt’s advice to speak softly, but carry a big stick. SEOUL, South Korea (AP) — After North Korea's first test-firing of an intercontinental ballistic missile last week, the country's leader, Kim Jong Un, has moved one step closer to perfecting a nuclear missile capable of reaching the United States, a weapons program launched by his grandfather and nurtured by his father. North Korean soldiers gathered in Kim Il Sung Square in Pyongyang to celebrate the test launch of North Korea's first intercontinental ballistic missile. The North's ICBM launch, its most successful missile test to date, has stoked security worries in Washington, Seoul and Tokyo as it showed the country could eventually perfect a nuclear missile capable of reaching anywhere in the United States. PYONGYANG, North Korea (AP) — Dennis Rodman's visit to North Korea has been uncharacteristically low-key so far. On the agenda? Bowling and a visit to the zoo. There is no clear sign that the former NBA bad boy will meet leader Kim Jong Un, as he did on previous visits to the isolated country. Such a meeting, though, typically wouldn't be announced in advance. SEOUL, South Korea (AP) — A turncoat assassin sent to North Korea armed with "nano poison" to kill leader Kim Jong Un? It's only the latest in a string of odd, as-yet-unproven accusations over the years that a proud, highly sensitive North Korea has leveled at its U.S and South Korean rivals. SEOUL, South Korea (AP) — The North Korean capital's broad, clean avenues were, by the authoritarian nation's usually over-the-top celebratory standards, fairly subdued ahead of Tuesday's 85th anniversary of the founding of the Korean People's Army. BEIJING (AP) — China defended its trade practices on Tuesday after Chinese-made vehicles were seen towing ballistic missiles during a North Korea military parade despite international sanctions against selling military hardware to Pyongyang. Saturday's parade honoring North Korea's country's founder, Kim Il Sung, came amid heightened tensions over the country's nuclear ambitions. It featured a senior official, Choe Ryong Hae, warning of "all-out war" if North Korea is attacked. North Korea paraded its intercontinental ballistic missiles in a massive military display over the weekend, with ruler Kim Jong Un looking on with delight as his nation flaunted its increasingly sophisticated military hardware amid rising regional tensions. Kim did not speak during the annual parade, which celebrates the 1912 birthday of his late grandfather Kim Il Sung, North Korea's founding ruler, but a top official warned that the North would stand up to any threat posed by the United States.